These exclude the nominations for the Concord Award, the deadline for which is 17th July. 193 candidatures from 52 countries have been nominated for this year's Prince of Asturias Awards, now being held for the thirty-four time. The deadline for nominations ended on Thursday, 13th March, except for the Concord Award, for which the deadline is 17th July, as the jury bestowing this award meet in September. Jury members may make their own proposals up to a minimum of three days before the date established for convening the corresponding jury. Those institutions and individuals presenting nominations include prestigious universities, academic institutions and research centres of international scope, directors of the main museums worldwide, prior laureates of the Prince of Asturias Awards and other personalities, Spain's ambassadors and representatives of the accredited diplomatic corps in Spain. Over hundred and fifty public figures, each one an expert in one of the categories, make up the eight Juries (one for each of the Awards) that will begin their deliberations in Oviedo in the beginning of May. The Prince of Asturias Awards presentation ceremony will be held at Oviedo's Campoamor Theatre in October. The gala ceremony is to be presided by H.R.H. the Prince of Asturias. 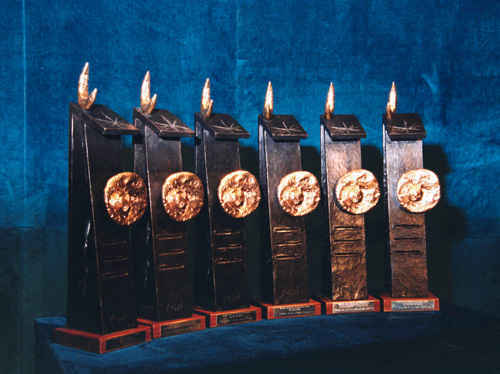 There are eight Award categories -Communication and Humanities, the Arts, Literature, Social Sciences, Scientific and Technical Research, International Cooperation, Sports and Concord- and, as stated in the Regulations for the Awards, each is intended to "reward the scientific, technical, cultural, social and humanitarian work carried out at an international level by individuals, institutions or groups of individuals or institutions". Candidatures should meet the requirement of "being outstandingly exemplary and their work or contribution should be of acknowledged international standing".